Woohoo!!! Technique Junkies Stamps is releasing some fabulous stamps this month and you will love them. 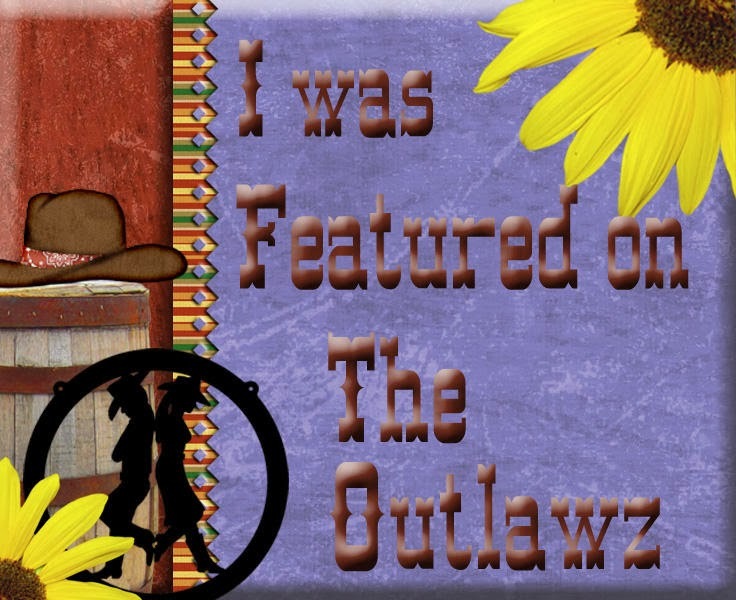 If you came here from the incredibly talented Lee Ann Barrett's blog, you're in the right place. (Didn't you love her creations?) If not, and you want to take the hop in order, you can begin HERE at the TJ Blog. All the stamps in this release are discounted at 15% until June 8th. No code needed, they are automatically discounted. So don't miss out on that big discount. 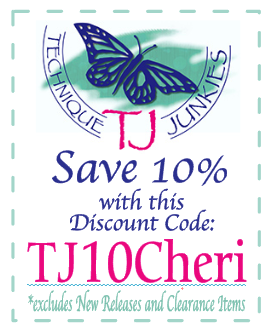 While shopping in the Technique Junkies Stamps store, and you happen to want other stamps, I can help you with discount of 10% off those. 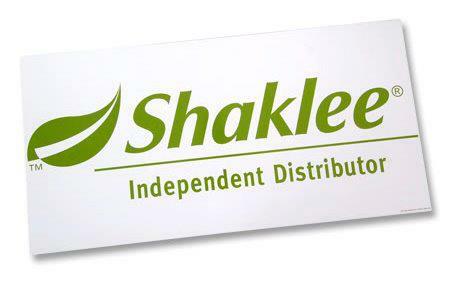 Just enter my discount code TJ10Cheri in the discount code area upon check out. I needed a guy graduation card and love how this came out. I used "Map Collage" and stamped with a brown waterproof ink, die cut the image, sponged around the outside edges and added crackle paint. 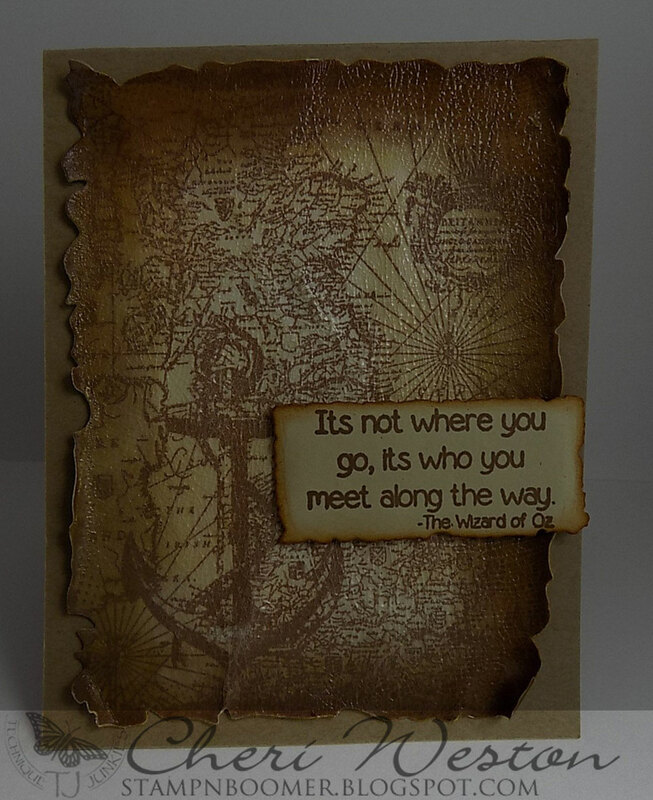 When it was dry, I mounted it on kraft card stock and added a sentiment from "Wisdom of Oz" (save 10% off this stamp by using my discount code) from the March 2018 release. I thought this would make another great graduation card. Using two stamps from this release "Flamingos Background" and "Balance on One Leg". The bg stamp was created using a 3-D background technique I showed before HERE. 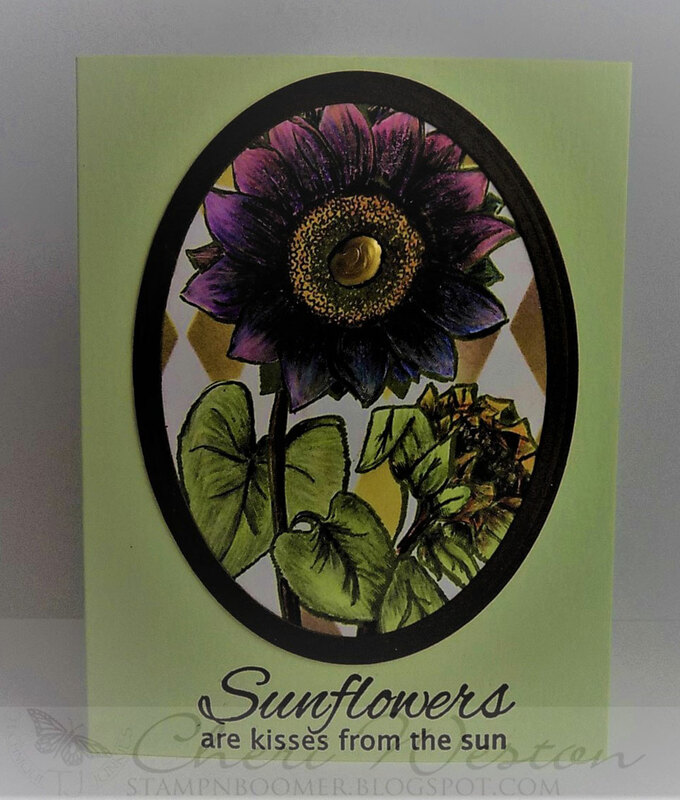 My final card for the hop uses this awesome sunflower stamp "Sunflower Duo" and I paired it with a sentiment from the new set "Sunflower Sentiments". I colored the sunflower with my Chameleon Colortone pencils. In the background I used "Classic Harlequin Stencil" , which I sponged with ink. Love how it turned out. For all my cards, I used my MISTI. I couldn't stamp without it!!!! Thanks for stopping by. 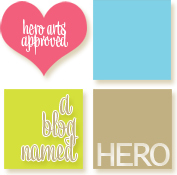 Now please head on over to the super talented Stephanie Severin's blog and see her fabulous creations. 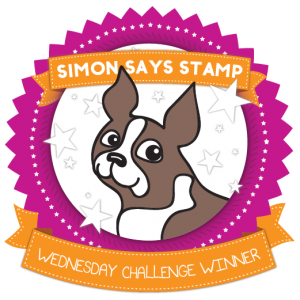 Don't forget to grab these new stamps with the 15% discount but it's only good until June 8th. 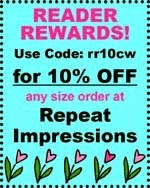 For all other purchases please use my discount for more savings. (no deadline on that discount). Beautiful group of card, Cheri. Amazing cards, Cheri! That purple sunflower is my favorite. Great coloring! Cheri, these are all beautifully done! I totally love the first card, what an amazing man card, and I'm smitten with this sunflower stamp! Great job, fun hop! 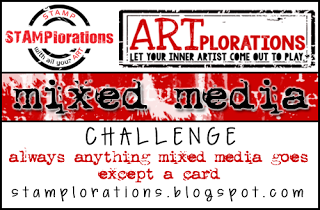 Fabulous male card Cheri and love the distressed look. 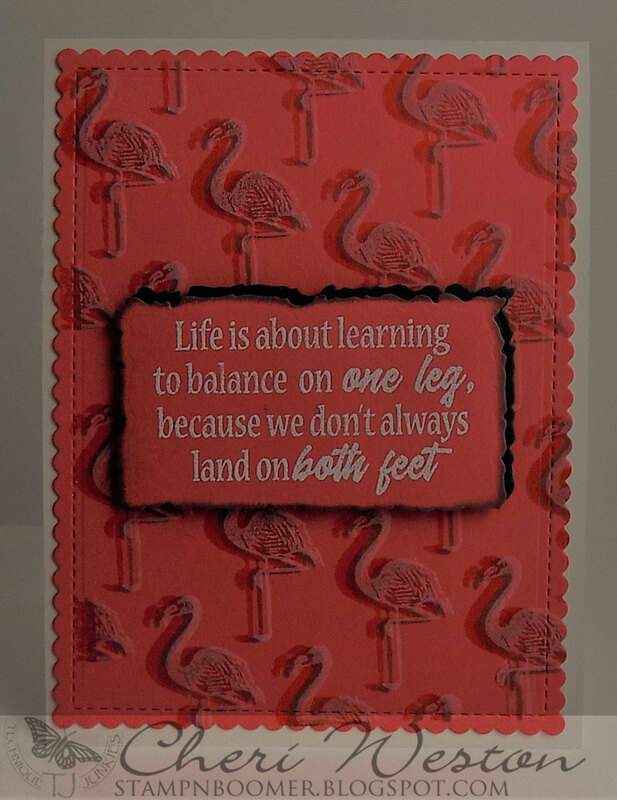 Fun flamingo card and both great sentiments. Love the big floral card - gorgeous colours of course as it's purple hehe. All three are stunning makes SS. Back from my short holiday in Cairns and catching up on comments.